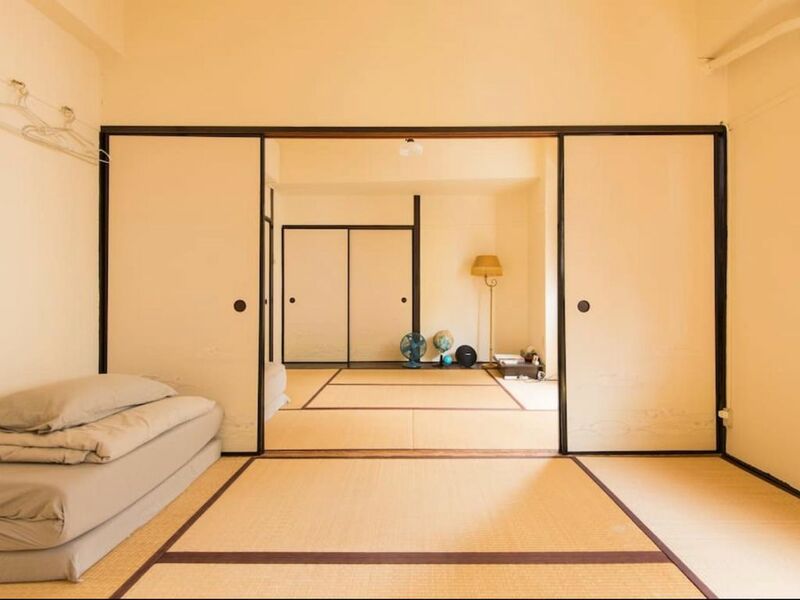 Nostalgic Japanese apartment with 2 Tatami rooms + bath/kitchen, furnished in minimal zen style - conveniently located in a town with lots of characters - 3 min walk to subway Daikokucho, only one stop by subway to Namba, 6 min walk to JR Imamiya or 20 min walk to Namba. Amenities include shared Roof Top/Pocket wifi/Wireless Speaker/Coin laundry etc. This old school building has NO elevator. Minimum stay 2 nights. We are a certified VACATION RENTALS. Traditional Japanese apartment with 2 tatami rooms side by side divided by Fusuma sliding doors, renovated nostalgic bathroom and kitchen. Coin laundry on site. Shared roof top available to relax at the end of the day or all day long! Comes with portable Wifi, wireless speaker. No elevator in the bldg. (3rd floor) Please enjoy Authentic Japanese local living!! The entire apartment is all yours during your stay, plus there's a shared roof top garden available one flight up. This urban greenery is designed and maintained by Coco and friends. It is open 24/7. Coin operated Washer/Dryer and a large drying area available there. FREE rental bike2. Coffee bike EDENICO&amp;Bar on the ground floor.